Chinese-Canadians are being detained, bribed, and blackmailed when they return to China. Canadian news outlet The Globe and Mail, interviewed six individuals who said the Chinese regime tried forcing them to spy on Canada. The individuals all told similar stories. They traveled to China, often visiting family, and were detained by Chinese authorities. The cases all shared something else in common. 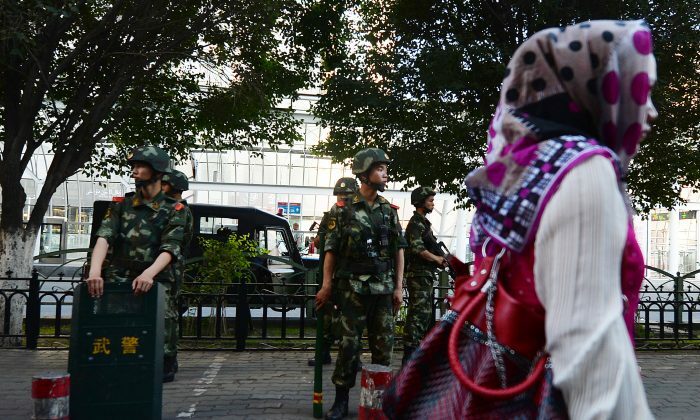 They targeted Uyghurs, a predominantly Muslim ethnic minority in China, who are suppressed by the Chinese regime. Although, it notes that Tibetans have reported similar cases of blackmail in China. Chinese authorities asked the individuals to spy on their neighbors. One individual interviewed by The Globe and Mail was detained while visiting China and was told he would only be released if he agreed to spy on members of the World Uyghur Congress in Montreal. It’s typically rare for blackmail to be used for espionage. It’s not regarded as a stable method to recruit spies. There’s a high risk the operations will backfire, and that the individuals will seek help from local law enforcement. With China, however, it’s a bit more complicated. Many of its low-level spies are not trained for espionage. They may steal information and pass it to a consulate or a state-influenced hometown association, in hopes to ensure the wellbeing of their families back home. The typical “blackmail” used by the Chinese regime is just mental pressure. Such pressure does more than coerce spies. In New York City, for example, many Chinese expats are afraid of openly criticizing the Chinese regime for fear their families in China will be harassed, or that they will themselves will be arrested if they return. China’s influence on global capital markets is increasing, but a great deal needs to be done to ensure regulations and reforms keep pace.